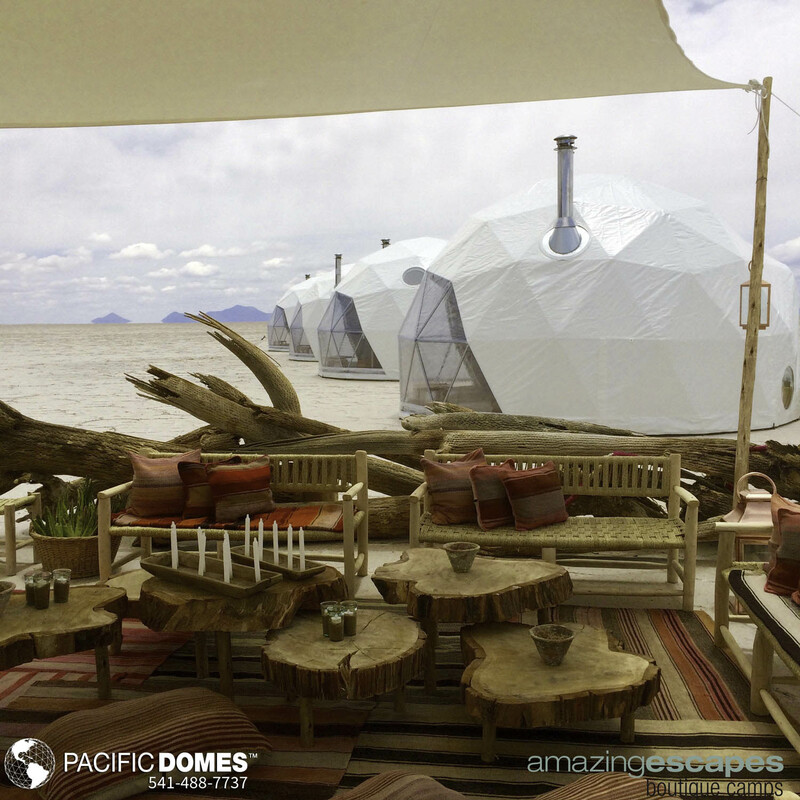 Pacific Domes of Oregon, manufactures Geodesic Dome Shelter Solutions for Eco Resort and Eco Tourism Retreats across the globe! World Class Resort Accommodations made in the USA! The adventuresome soul will go to great lengths to do just that. 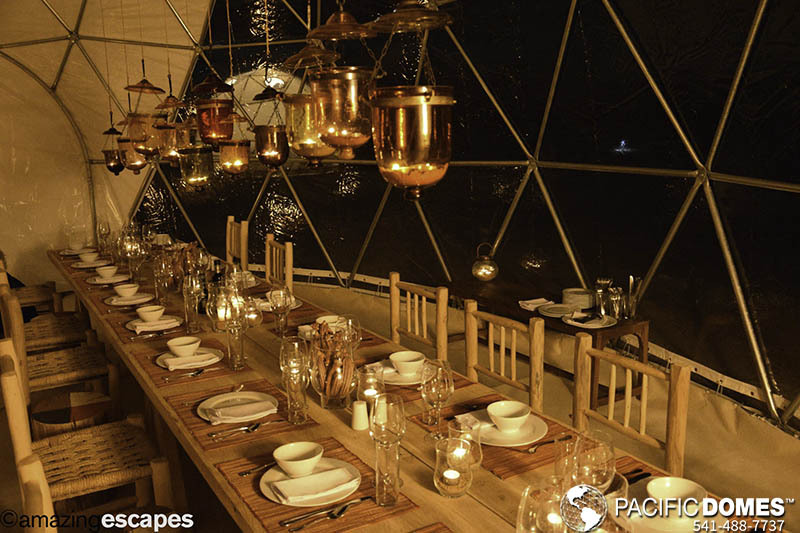 Days and nights spent on the Bolivian Salt Flats can be compared to being on the moon: a peak experience that lies beyond the scope of words. 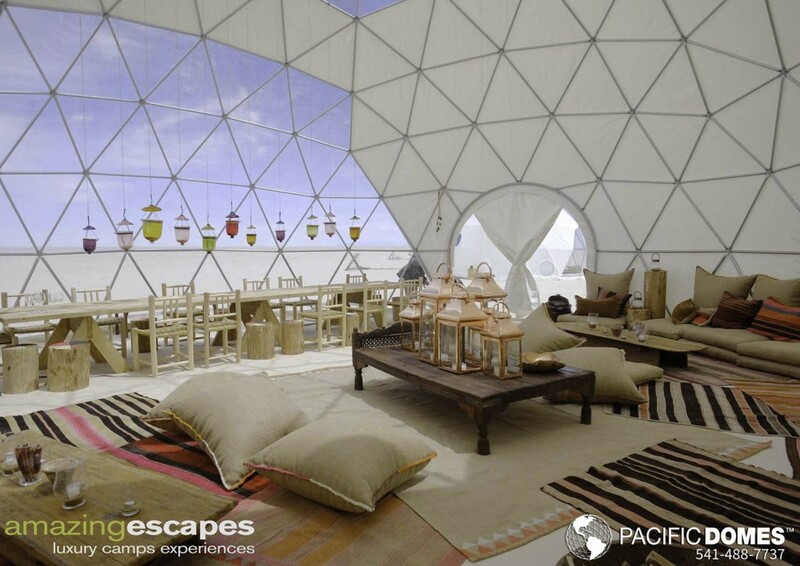 Such is the geodesic dome camp, made by Pacific Domes, set up on the awe inspiring Salar de Uyuni by Amazing Escapes. 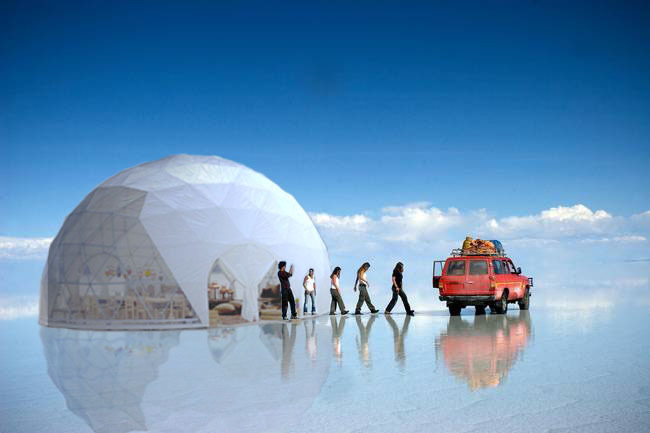 Located in southwest Bolivia, near the crest of the Andes at an elevation of 11, 995 feet, the Bolivia Salt Flats, known locally as the Salar de Uyuni, stretch over 6,500 miles. Normally an arid, barren surface, during the rainy season, a thin film of water gathers on the vast plain of salt deposits, transforming it into the world’s largest natural mirror. The dream-like sight over such immense landscape inspires a feeling of timelessness. Reflecting clouds challenge the imagination as to what is up or down. Recalling the classical images of heaven — surely this is here – one is shuttled utterly out of the mundane. It has been worth the long journey. Kennes and Raisiere have gathered around them an international team of professionals in design, hotel management, food and beverage management, ground operations and infrastructure development. 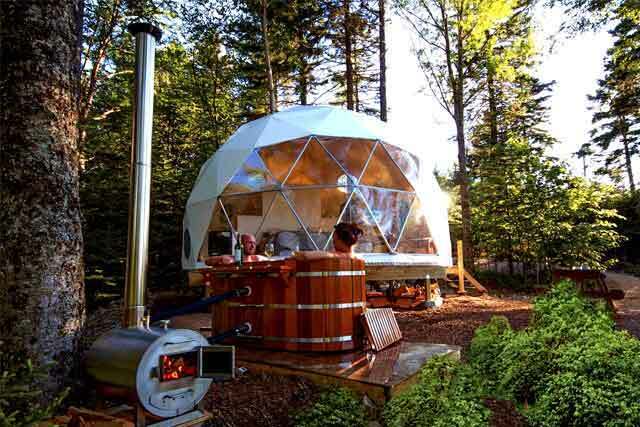 The attention to detail is that expected at the most renowned hotels, and the result is glamping comfort that belies the environment, with a style that recalls the glamour of the nineteenth century adventurer. Amazing Escapes is also innovative and invests in green technologies. They utilize light imprint structures, such as the Pacific Domes pods, and use platforms to minimize ground site impact. 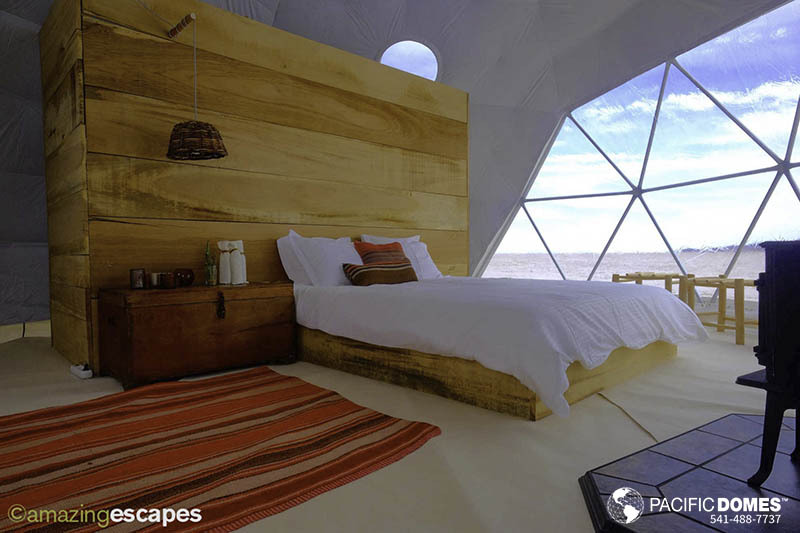 Through a partnership with a french company specializing in self sufficient water treatment and energy supply systems, they are able to provide an autonomous private bathroom with running hot water and toilets in every tent, no matter where the camp is. In this way, they believe they serve the most discriminating clients, the traveler eager for wilderness but not willing to compromise on his comfort.